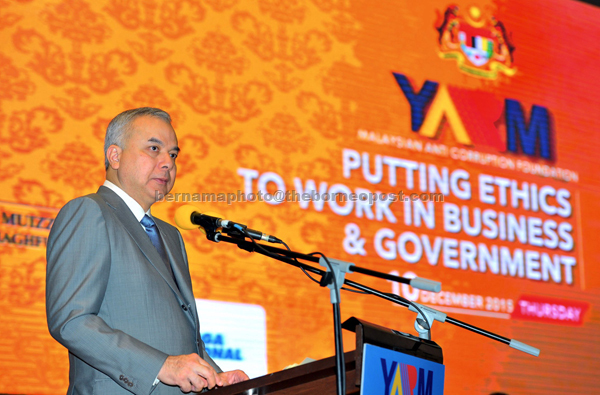 IPOH: The Sultan of Perak Sultan Nazrin Shah today said religion is like a time bomb which can explode and is capable of triggering chaos and catastrophe if it is sensationalised for political purposes. Sultan Nazrin said the role of religion is very sacred but at times it is desecrated by those who lacked wisdom and tried to insert values, prejudices and personal agenda to champion and sensationalise certain issues. “On the other hand, when religion is used for purposes other than sowing the divine spirit, especially when it is selected to be sensationalised politically, religion is a highly explosive bomb, with the potential to trigger chaos and catastrophe,” he said when opening the three-day ‘Muzakarah’ Sultan Nazrin Muizzuddin Shah here today. He said religion, when fully understood, is an instrument of unity and justice, other than being capable of turning out a good society which has soul and internal strength. “In the realities of history, the legitimacy of facts and rational thought are sunk and swept away by the currents of emotions,” Sultan Nazrin said. Sultan Nazrin said Islamic scholars and leaders who were entrusted with managing the affairs of Islam must carry out their responsibilities with wisdom and justice, respecting the feelings of others and also understanding the realities of a time and place. “Justice must be implemented, human dignity must be respected, while the king is responsible for fulfilling the role of an arbitrator in a fair and equitable manner and willing to give space to listen and scrutinise,” he said. Sultan Nazrin said impartiality required rulers to offer the ‘shade of their umbrellas’ equally to all, irrespective of their religious affiliations.